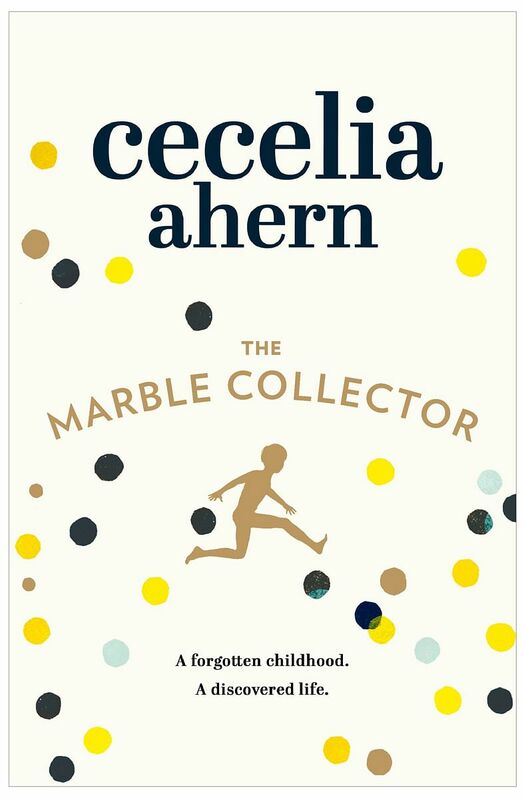 Marbles, and their different classes and types, are the backdrop to Cecelia Ahern's well-researched 12th novel. Bloodies, bouncers, steelies and swirls ping around the book, serving as plot device and central metaphor about being true to one's passions. Best known for her syrupy love stories, Ahern burst onto the scene in 2004 with P.S. I Love You, about a widow grappling with the death of her husband and which was subsequently made into a movie. The Marble Collector is, thank- fully, not as mawkish though sentiment does come through in Ahern's tendency to use convenient plotlines to neatly prod the story along. She continues to do what she does best: telling relatable stories with universal themes. Here, her narrative centres on family, secrets and sacrifice. Through alternating chapters, Ahern tells the story through the eyes of the two main characters - Fergus Boggs and his daughter, Sabrina. He is the titular marble collector with secrets to hide and Sabrina, a mother stuck in a dead-end job seeking renewed purpose in life. Fergus suffers from dementia and lives in a nursing home. While he has not quite "lost his marbles", he is slowly but surely losing his grasp on reality. The idea of not giving up on one's ardent passions rings clear in the story of Fergus, who becomes a shell of himself as he reluctantly gives up his childhood interest in playing with marbles. He spent much of his adult life hiding his hobby and talent for marbles from his wife, who strongly disapproved of it. He is also convinced that his marble hobby - he slinks off to take part in tournaments and for a game or two at a pub under a moniker - has led to harmful consequences for his career and family. The reader empathises with Fergus' reasons for hiding secrets from a loved one as he feels the secrets may bring more harm than good if aired in the open. His daughter is not as relatable as a character, her woes seemingly superficial in comparison. Working as a lifeguard in a posh retirement village, she is bored with her job, tired of the family responsibilities that come with having children and her marriage is on the rocks. But all this changes when she comes home one day to boxes of marbles that she realises once belonged to her dad. The marbles of the highest value are missing and she sets off on a journey to track down the missing pieces and to find out who her father has really been. But Ahern resorts to several plot twists that feel convenient. One such instance is where Sabrina, wanting to buy marbles in the middle of the night, follows her father's caregiver on her first date to a party. The party happens to be at an artist enclave, where there happens to be a glass specialist. The attempt to neatly tie up the story with a predictable feel-good ending is also where a story that had so much potential falls flat. If you like this, read: The Memory Keeper's Daughter by Kim Edwards (2007, Penguin, Books Kinokuniya, $17.12). A doctor delivers his own twins, only to discover one girl has Down syndrome. He gives the girl away to a nurse, but tells his wife that the baby was stillborn.